Joy Casino was founded in the year 2014 and is managed by Darklace Limited. The casino offers an impressive list of casino games from Microgaming and Play N Go companies. The casino runs on a license provided by the government of Curacao. New players are welcomed with a very enticing offer. 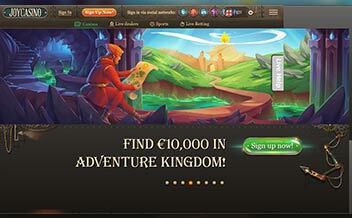 The casino offers a 100% bonus for an amount of up to €2000.  The wagering requirement on this bonus 30x which should be met before making withdrawals. New players are also offered a second deposit bonus of up to 200% for a deposit amount of up to €50, and this bonus has a wagering requirement of 25x to be met before making withdrawals. Players at Joy Casino are guaranteed an awesome online slots gaming experience. 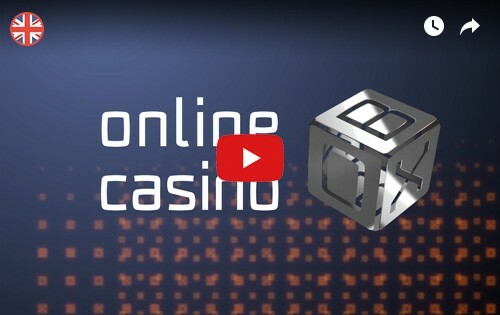 The casino offers over 200 online slots that are video slots and classic slots. These slot games include; Twin Spin, Steam Tower, Aliens and Starburst among others. The casino assures players that the table games experience will leave them happy and smiling. The table games include various variations of Blackjack Roulette, Baccarat and other games like Red Dog and Caribbean Stud just to mention a few. The live dealer section at Joy Casino has been designed to guarantee payers an online casino experience that is just the same as the experience of an actual, land-based casino experience. 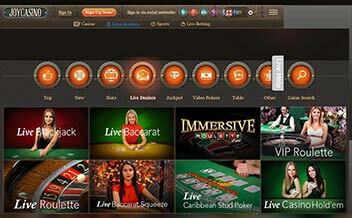 The live section offers games like; Live Blackjack and Live Roulette. Joy Casino being powered by most of the best online games providers offers an excellent online casino platform. These providers have ensured that every player’s preference has been catered for at the casino by providing a wide variety of casino games. Some of these providers include ThunderKick, Microgaming, Quickspin, NetEnt, Elk Studios, Play’n Go, Playson and Foxium among others. Australia, Antigua, Belarus, Bulgaria, Belgium, Denmark, France, Hong Kong, Spain, Italy, Iraq, Iran, Hungary, Cuba, Czech and The United States among others. Players get to enjoy the casino games conveniently as the casino has a user-friendly interface. 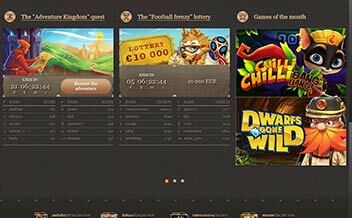 The main website has put the casino features in a way that any new player can be able to locate the games easily. 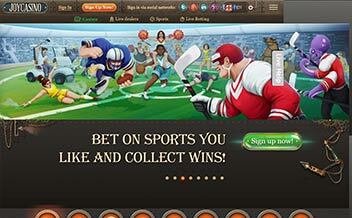 The casino is also compatible with many web browsers like Chrome, Mozilla and Opera Mini among others. The casino has its share of good reviews and bad reviews from players. Many players have complained about the casino’s sudden changes to its policies, one player complained about the sudden change of the restricted regions. Though, the casino is fairly good and worth checking out.